Anxiety can affect the majority of people some of the time or most of the time, depending on their mental and emotional state at that moment. In a previous post ‘Dear Mrs. Nicky, here a child shares the physical problems of a bad belly and being anxious during the exam and testing season. 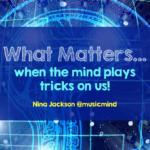 This might help some of you during this week – SATS! Anxiety can put our bodies in a state of heightened awareness – much like the ‘fight or ‘flight’ experience which stress causes too. Good anxiety can be healthy and useful. Without these experiences our bodies and minds would have no sense of danger, no experience or recognitions of facing challenges, and no experience of how to cope and deal with difficult demanding times in our lives. Anxiety affects both our minds and our bodies. It can create physical symptoms which manifest themselves in apprehension, fear, tension, worry, headaches, palpitations, sickness, sweating, breathlessness, but to name a few. It can also give us a feeling of impending doom. Every person will experience anxiety in a different way. Stressful situations can also cause anxiety. The symptoms of stress and anxiety cause the same chemical reaction in the brain. Cortisol which enhances our speed, heart rate, reflexes and circulation can also be coupled with sadness, anger and even ecstatic happiness and excitement at times is released into the brain at these times. 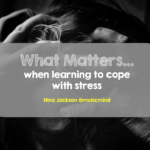 For us as educationalists we are generally most concerned about how stress affects learning. 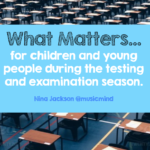 How it manifests itself in children not being able to show, share or apply themselves to work, and therefore can have an adverse affect on performance, particularly in tests, exams and formal assessments. The pressures placed upon schools during the examination and testing periods is enormous. We are experiencing this during this time of year when children in England are sitting SATS, and other students in the UK preparing and sitting GCSE & A Levels. Let’s also not forget students at University who are also experiencing anxiety during these times. 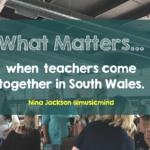 Teachers, parents, senior leaders, children and communities have high levels of anxiety this time of year, and we need to think about how we can combat and address an escalating situation which is having a massive effect on the mental and emotional well-being of so many. Some would say we have a mental health epidemic in this country. I have recently been working with students who are experiencing anxiety from the amount of homework they receive. One student said “ We attend lessons for an average of 5 hours a day, which is stressful enough as we need to be focused as much as possible. Then, when it should be ‘down time‘ for our brains, we are hit with more homework. Sometimes I feel as if my brain is going to explode. It’s not that I can’t do the work, it’s the fact that I am mentally and physically too tired to do the homework. It’s stressful and makes me anxious. So, should we as schools be looking at the impact homework is also having on young people? Yes we should. 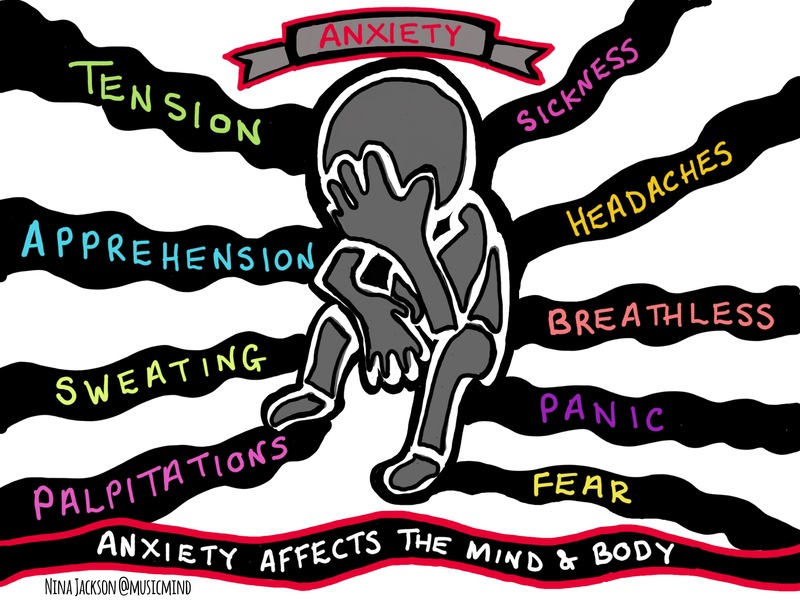 Lets not forget that there are different levels and types of anxiety too. Make sure if you are really worried about an individual you seek the right help and support from the medical profession. Simple, great ideas to support anxiety in your school and classrooms. You may want to use these to support yourself, your children, the students you teach and anyone else who may need that extra little bit of reassurance at times. Talk, Tell, & Share – Talk to someone, tell them how you feel. Don’t bottle up your worries. Sometimes talking to a stranger can be easier than a friend or a teacher. Whatever you do tell someone. Jot it, Write it, Doodle and Draw it, or Audio your Anxiety – If it’s difficult to ‘tell’ someone face to face how you are feeling then take the next best option. Jot down your feelings, write a few words on paper or via text. Doodle or draw your feelings or make an audio recording and share it with someone you know will listen. Keep a diary or log book if it helps. I have a ‘Living Well One Line a Day’ – Five year reflection book, which is great. Magic Moments – Get yourself a jar or envelope to write or store lovely experiences. Time with family and friends, celebration days, photos, or personal experiences. When you are feeling anxious, open your ‘Magic Moments’ and check how great you are. Simple, magic! Time Out – take some time for you. Maybe some ‘quiet’ time, no noise, no music, no distractions and breath slowly and purposefully so that you can slow your heart rate and vent away any difficulties. Taking exams and tests will not kill you, but excessive anxiety can cause you emotional difficulties. You can get rid of these feelings and get over troubled times. It’s about putting everything into perspective at that very given moment. Dance, laugh & eat something naughty! Dance until your feet hurt. Laugh until your belly is about to burst. These are great stress and anxiety techniques to alleviate these problems. 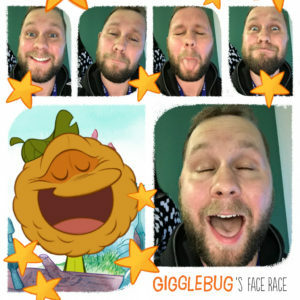 Get yourself the Gigglebug’s Face Race app and see if you can pull some funny faces. Check this one out. Eating something naughty? Well, we all have our special little things which are naughty but very very nice…..I’m a bit partial to some ice cream. But, only a little mind, not too much or you’ll have a sugar rush and that’s another chemical reaction we don’t want to experience too much of. Tell a joke – if there is revision or serious studying going on in your classroom and the pressure is getting too much for some, set your alarm. Every 15 minutes it becomes ‘Joke time’ – tell a joke, have a laugh and then back to it. It gives the brain that little well earned break that’s needed, and no doubt you and your children too. 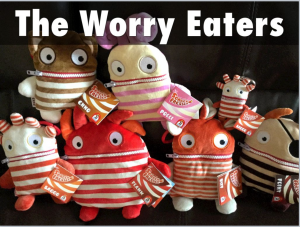 Worry Eaters, Worry Box, Worry Bag – if anyone is anxious and/or worried about something get a worry eater. Yes, they do eat your worries away, because someone else finds them and they come along and support you. Here are mine, they travel to many schools with me. Reassurance Key – I used to have an old key in my bag. I think it was part of a broken shed. I once had a child that was extremely anxious before a test, (much like some children you right now sitting SATS tests) and I remember looking for a tissue and came across a key – not the tissue. I thought quickly. I passed the key to the child and asked if she wouldn’t mind looking after it for a while. I told her that ‘holding the key’ would help the anxiety as well as following some of the simple steps I have spoken about above. When things were settled, I told her she could just pop the key in the safe box in my classroom when she didn’t need it anymore. It’s safe to say I sent out a plea for old keys as it worked brilliantly with a number of children. Much like a smooth stone, or a special key ring….touch it, look at it, use things as emotional soothers. Remember that you put things into perspective and you can get through this. And, relax. Now these are quite simple, straight forward steps you can use in your classroom, at home or even for yourself. Remember, it’s sometimes about just getting through the next few minutes when you are anxious. Here is a great video from Childline about coping with exam stress and anxiety. Talk Together, work together, share your worries. 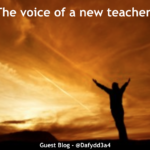 What a lovely blog!! I’m going to try the reassurance key & magic moments with both my boys! This article would be so useful for both teachers & parents of children with extra special needs.